Are you looking for information about permits, construction or design of your roof garden or roof terrace? You have come to the right place. 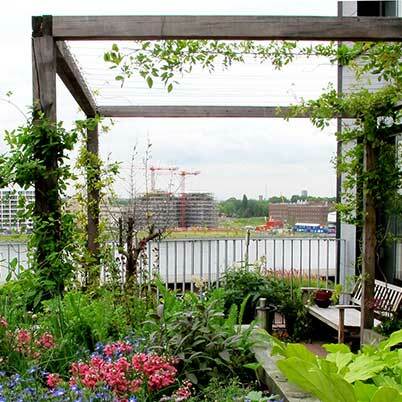 With over 500 successfully completed projects in Amsterdam we are the experts on roof gardens! 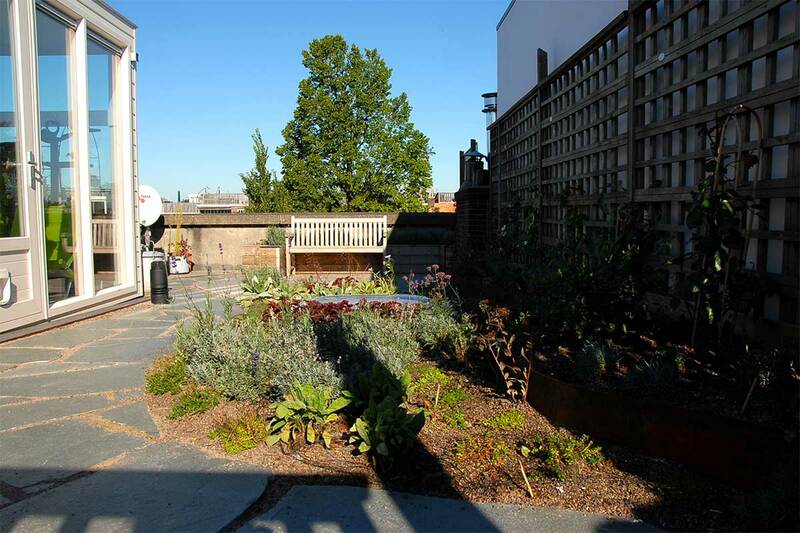 We make roof gardens upward of 25m2. Our rooftop terraces are at least for 1/3 green. Why? Because we’re convinced that you’ll enjoy a garden much more than a plain terrace. And that’s good for the city, her inhabitants and the ecosystem. 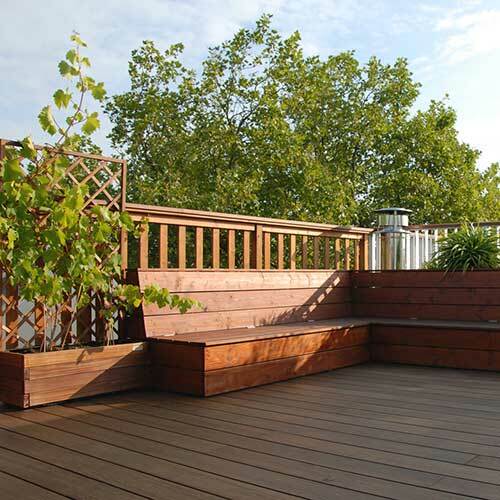 If you’re looking for a roof terrace that exists of only a deck and framework, we advice you to look for another company. 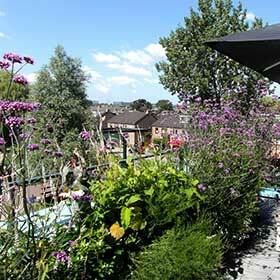 For every roof garden or terrace you need a permit. We can request one for you. We want green to make a comeback in urban areas. That is why we make it our mission to put the maximum amount of green into every project. 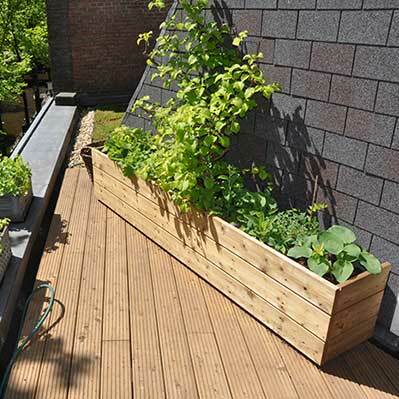 Turn your roof terrace into a real roof garden. 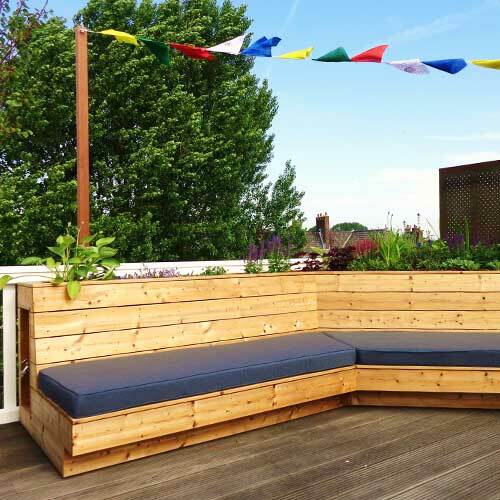 Below you can find the basic options for your roof terrace. We believe in using certified woods. Therefore we never use tropical hardwood for building our roof gardens and roof terraces. For the flooring we use ecological Modiwood, Bamboo Xtreme or Thermo Essen, all of which are at least as durable as tropical hardwood. Finally, all our joints are made of stainless steel. Often, roofs are not strong enough to support the terrace by itself. In this case we create a floating construction, using wedges on the load-bearing walls as to spread the weight evenly. This way we avoid concentrated loads. In order to ensure the terrace is level, we cut the wedges after which crossbeams of sustainable wood are placed on top of them. The decking is attached to the crossbeams. In case of large spans it may be necessary to use galvanized steel for the floating construction. Our fencing is made of 1500mm ecological Modiwood, within municipal norms. Depending on the situation, fences will be 1000mm or 1200mm in height with a double railing to provide extra strength. The balusters are mounted on the terrace with stainless steel feet. All joints are made of stainless steel. 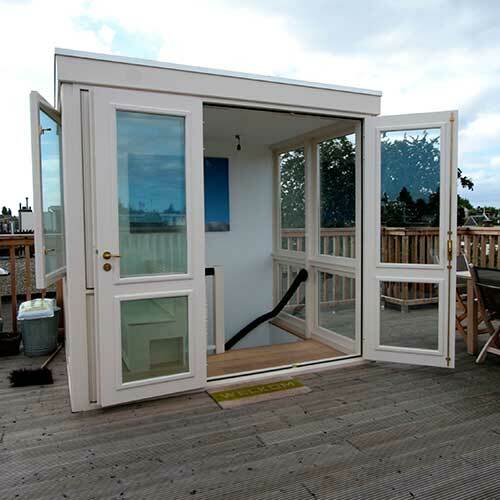 A roof house provides easy access to your roof garden or terrace. It also provides storage space for items such as cushions or a fridge. A rooftop house can be no larger than 6m2 and at least 60% has to be transparent. A rooftop house is not always possible. Do not hesitate to ask us about the possibilities. We advise to install a hatch of 1000mm*2000mm with a transparent dome. 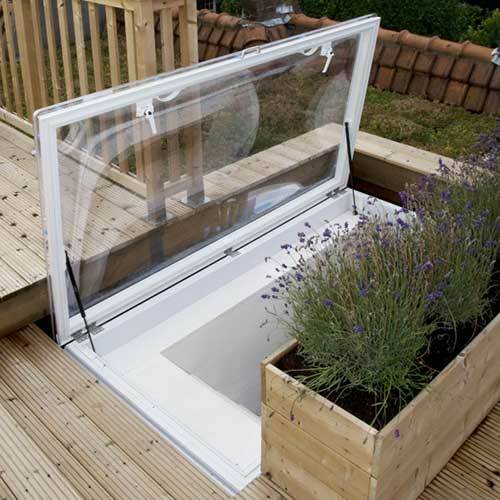 Our hatches are developed especially for roof terraces and make for a beautiful skylight. An electrical hatch is of course also a possibility. The hatch or top house is usually provided with a floor staircase, specially designed by our staircase experts and build into your home. The last step will be extended to allow easy access to your terrace. 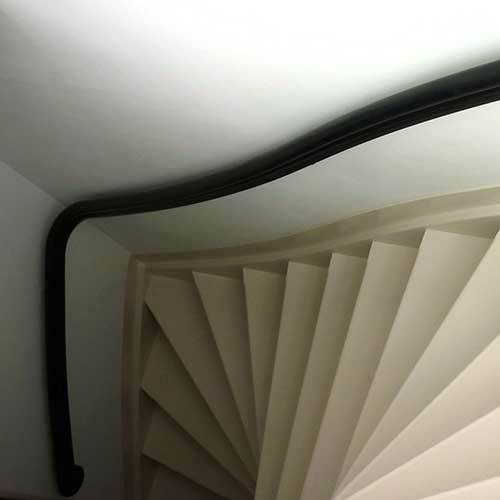 The stairs come with a rounded railing and unprofiled wood steps. Additionally there is the possibility of building stairs with original details. ‘De Dakdokters’ have years of experience in obtaining permits in Amsterdam. Our steady relationship with the city government guarantees a fast and careful procedure. In general, approval of the request can take up to 8 weeks followed by a 6-week objection period. ‘De Dakdokters’ have their own design studio named “De Dakarchitecten” (the rooftop architects). This studio can make every “roof dream” come true. Our architects design your terrace and obtain the necessary permits. The sky is the limit when it comes to your convenience: from a custom-build outdoor kitchen to a lounge sofa with a backrest of planters. 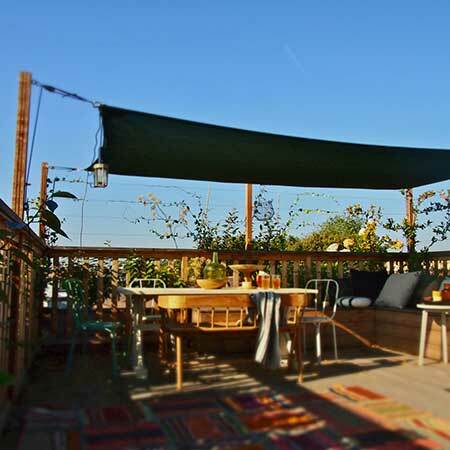 Unwinding on your roof terrace? We custom-build your lounge sofa of ecological Modiwood. There are several options: no backrest, a straight backrest, a sloping backrest, a backrest made of planters or a moveable side table. This custom-made bench with optional built-in storage is equally suitable as a table chair at dinner or just as befitting as a stand-alone bench. We build our custom made planters of ecological Modiwood. The inside is finished with a synthetic material to protect the wood. The planters come with a drainage layer and professional potting soil. A pergola delivers beautiful shelter on your terrace. The pergola is custom made. The legs are attached to the fencing or planters to make sure it overgrows gradually. Attaching tension wire, reed- or willow mats to the pergola is optional. A customized shade sail provides cool shade on a hot summer day. Different shapes and colours are available. 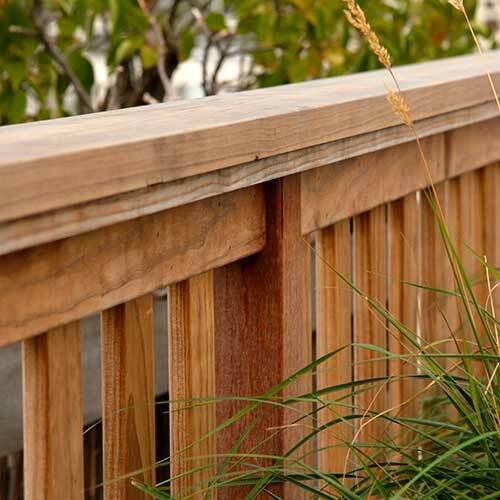 The FSC hardwood legs are attached to fencing or planter. The sails are easy to mount using carabiners and pulleys. 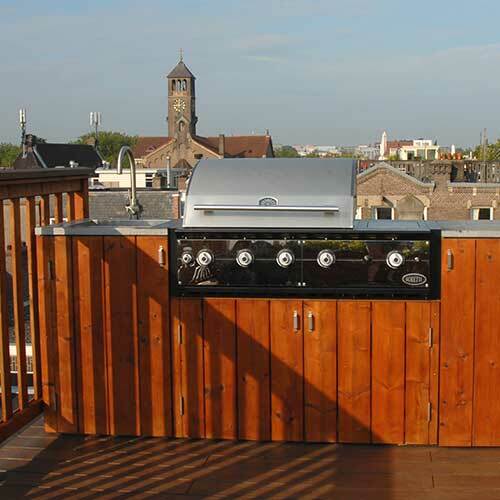 An outdoor kitchen is a great way to have your food at hand while enjoying your roof terrace. The outdoor kitchen is custom-build to your needs. It can be equipped with a fridge, sink and storage space. An electric point on your roof may come in handy, for example to install LED lighting to enjoy your roof terrace at night. 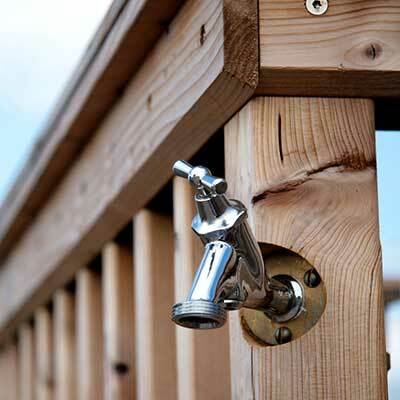 It can be beneficial to install a water connection on your roof terrace. You can connect an irrigation sprinkler system with timer. 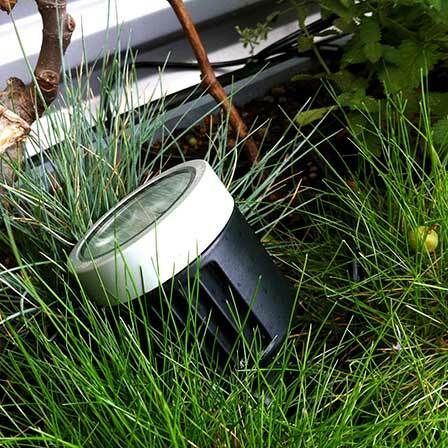 This will allow you to go on holiday without having to worry about your plants. 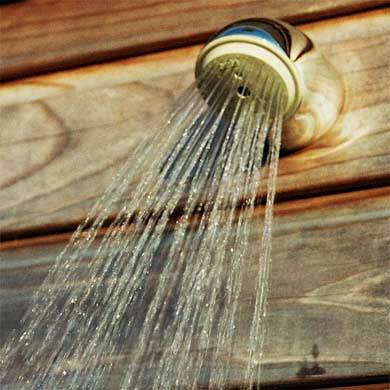 An outdoor shower can relieve you of the blistering heat of the summer. Our plumber customizes the shower to suit your needs, for example a shower fitted with a stainless steel showerhead. A customized bar table is great for entertaining friends while enjoying views of the city. 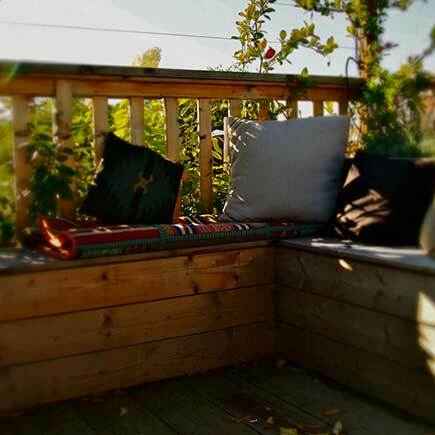 In cooperation with our plant expert we convert your terrace into a green oasis. Customized to meet your demands concerning appearance and maintenance. 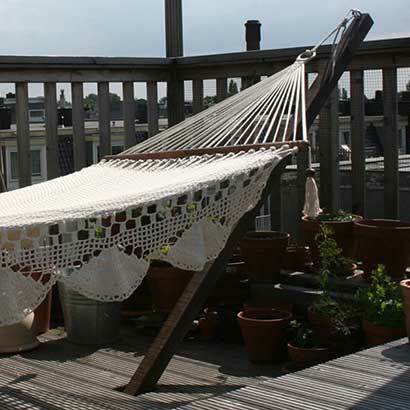 A hammock on a roof terrace is the best thing in the world. 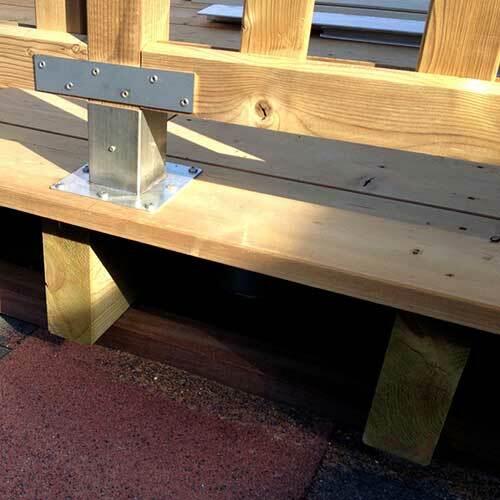 “De Dakdokters” have designed a hammock base which is attached to the cross bars underneath the flooring. It comes with removable FSC hardwood stands.